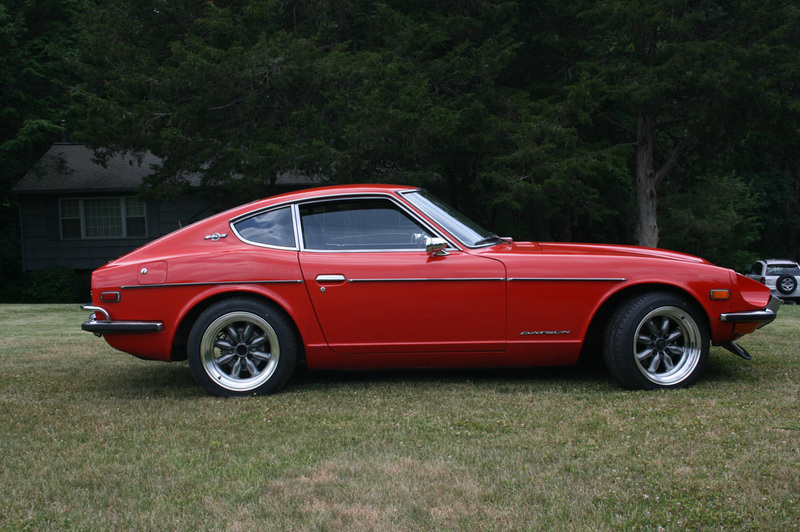 A Series I 240Z , came off the line 10/70 #11137. Fairly stock and original, aside from the panasports, tokico adjustables, and other suspension bits. 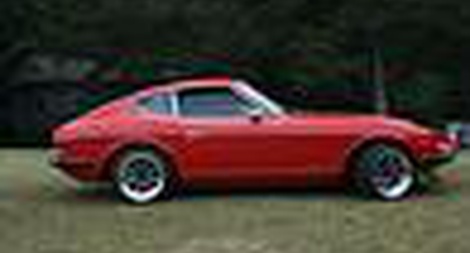 Love reading about the Classic Motorsports 240z…great inspiration! April 22, 2008, 8:49 a.m. It's SOOOO hard to find one of those that's not rusted away to nothing these days. Yours looks sharp. The panasports really suit it. April 22, 2008, 5:08 p.m.
July 10, 2008, 11:35 a.m.
Dec. 21, 2008, 4:43 p.m.
June 16, 2009, 7:39 p.m.
June 23, 2009, 7:56 p.m.
Great looking Z! I drive a 2007 and can see that some of the lines have carried over to the present day.